Hey e veryone! Are you ready for Nuts & Bolts part 2? Have you created your email list complete with 50 new prospects? Have you downloaded Trellian WebPage designer? Have you download and installed Email Director? Please join me and special guest Michael Thompson on January 15th 2013, as he continues our FORMULA Mini Series “Nuts & Bolts” to virtual tour sales. On this episode Mike Thompson will show us how to setup your email director software and import emails. He’ll go into great detail with how to create an HTML email that you can send out for your marketing campaigns. If you have been trying to get your virtual tour business going, or simply grow your business, this is the show you do not want to miss. I hope to see you on show!! The new RealTour Fusion system just got some major system updates over the holiday weekend. First of all we’re very excited to announce that we’ve increased the resolution on the images in the system considerably without sacrificing load time. In fact, using a new compression method, we’ve been able to keep the still images the same size (kb) if not smaller than the images we were previously serving up that we’re smaller in pixel size. This update will apply to any NEW virtual tours that are created using the RTV Fusion virtual tour software and users will notice the increase in image quality when comparing the sharpness of images in a previously created virtual tour. This update will be most noticeable when viewing a virtual tour in HD Full Screen mode. While we won’t be making any edits to previously created virtual tours, any user that would like to take advantage of this update are encouraged to re-upload the still images of any previously created Fusion tour to take advantage of the higher resolution. For those of you that are blazing your own trail and have your favorite settings for stills and panoramas we’ve created our new MySize feature. Before you publish your images to the Fusion servers simply check on the MySize button and the Fusion system will not attempt to optimize or resize your images in any way. We have given you FULL CONTROL of your image resolution and compression. For those of you that are familiar with resizing images and applying compression please feel free to try out this new feature and send in examples of your productions to RTV for showing on the Home Page of our website. For those of you that are new to this we encourage you to come to our MySize show or watch it online at www.rockpointemarketing.com. Uploading images that are too large in KB size will result in your productions opening much slower than desired and in turn your customers not being happy with you. There’s a fine balance between an amazing looking presentation and the time one will wait. We believe very strongly that Fusion is the world’s finest and most elegant looking virtual tour platform. If you allow RTV to manage your compression and image size we’re certain that your customers will say the same. Use our new MySize feature only if you’re 100% certain that you’re capable of balancing image size and compression with load times. Keep your eyes out for more updates coming real soon from RTV! Here are a few Tips for adding voiceover narration to your virtual tours. 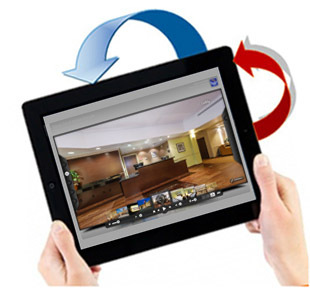 RTV’s Interactive Virtual Tours are powerful marketing tools that bring your property or business to life for online visitors. One of the biggest perks of Fusion Virtual Tours are the additional features you can use to enhance the appeal and energy of your presentation. See a full list of Fusion System Features Here. Voiceovers and audio tracks are popular features that can be used to great effect with Fusion virtual tours—but if you’ve never recorded live narrations before or used our advanced AudioPal system before, there are some things you should know about this process before you dive in and start creating your audio. These tips will help you create a professional-sounding voiceover narration for your virtual tour that will impress visitors and pique their interest in your business or property. When using our cloud recorder be sure that you record in a quiet place. Even if you have a noise-cancelling microphone, some background noise may bleed into your audio. Make sure you’re recording from an indoor location, in a room with a door that you can close. Turn off anything that might create background noise, such as televisions, radios, fans, or any machinery or equipment that hums. If you’re recording at home, ask family members to avoid interruptions until you’re finished. If you’re recording at your client’s office be sure that you’re able to schedule the conference room or have an entire room to yourself. Speak slowly and clearly. Enunciate each word as you’re talking. Don’t slow down so much that you sound forced or lost, but talk at a slightly slower than normal rate. It’s best to have a written transcript of your narration that you can read from, rather than relying on memory. You should also read your transcript out loud a few times before you start recording. If you’re meeting your client at their office to do the recording be sure that you remind them to have this written before you arrive. Be enthusiastic. You love what you do, so make sure that passion translates into your narration. Demonstrate your expertise and convey to visitors how much they’ll enjoy your property or business through your tone of voice. Remember to smile. If you’re smiling while you speak, the expression will resonate in your voice. When you sound genuinely happy to share your tour with visitors, they’ll react positively to it. Don’t stop with the first take. Even if you’re sure you have a perfect narrative track the first time around, record your script a few more times from start to finish, and then choose the best version to use in your tour. You may want to ask someone else to listen to the different recordings and choose the best one, so you have an objective opinion. If you’re using the RTV AudioPal solution to have one of our five robotic voices narrate your virtual tour be sure to fine tune each take by using commas and periods to add in pauses. You might also find it beneficial to sometimes change the way words are spelled in order to have our characters pronounce them correctly. With a little preparation and patience, you can create a great-sounding, professional voiceover narration for your virtual tour. Happy recording and enjoy all the new updates to our Fusion virtual tour software program. Become a Reseller Superstar in 2013 with RTV. Our powerful Fusion virtual tour engine not only delivers HD photos, panoramas, full-motion video, and voice overs, but now it also PAYS you to use it! With our new Reseller Dashboard, you can simply log into your online virtual tour manager, click the Reseller tab, and grab your unique referral link. Next, send the link to prospective users of the RTV system. Whenever someone clicks on it, they’ll be instantly linked to your account, and you’ll earn a generous 20% commission on both FSD and IHD accounts that you refer to us. Interested in Reselling National Accounts for RTV? Now you can leverage the power of “The BIG Network”, and RTV will pay you a commission for any national photography accounts that you bring on board. To learn more, watch for our upcoming webinar on reselling. We’ll also discuss the details at the 2013 Virtual Tour Provider convention in Las Vegas. See you there! Our virtual tours have the tools to help show your potential clients what makes your Hotel stand out from the rest! 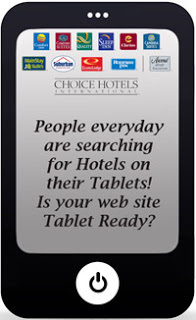 has been helping hotels and other large companies for over 13 years with rich media and digital content. We can also help get your images and virtual tours to 3rd party web sites, making sure whenever someone is looking at your Hotel, you always look your very best. Don’t wait. Get in front of your competition and make sure you’re not missing out on the mobile revolution. Discount Photography Services and Virtual Tours For All Hotel Brands! The Fastest Virtual Tour Service and The Best Technology – A “WOW” Experience!